For our Sunday breakfast my fiance surprised me with an Ockelbo cheese (Ockelbo lies in the center of Sweden and the cheese is cheddar like, but with a more pronounced buttery taste - it's my favorite cheese for the moment) omlette and Swedish pancakes with cloudberry jam. Swedish pancakes are thicker than crepes but much thinner than American pancakes. How perfectly tender, thin and absolutely delicious with salted Swedish butter and cloudberry jam! Cloudberry jam is called hjortronsylt in Swedish. "Sylt" in Swedish means jam. Cloudberries taste like a mix of tart berries and sweet toffee sauce - it is the best combination possible. One hand-picks them in secret areas in the north of Sweden so they are rare and expensive. 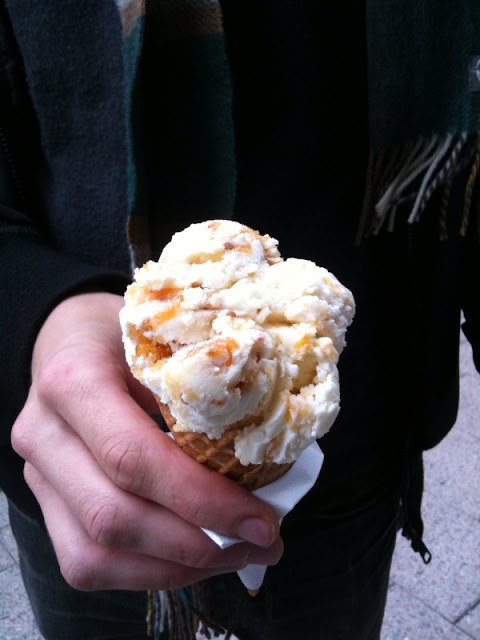 The best cloudberry ice cream lies in an ice cream parlor in Södermalm's SoFo Nytorget area. I would say it's the best ice cream I've ever had. As a little boy, Marcus's mom would make him pancakes every week, and he would douse a big cloud of whip cream (which is traditional) and lots of jam on his. We enjoyed them with butter and cloudberry jam. It is more usual to eat them with raspberry jam because cloudberries are reserved as a special treat. Swedes never eat their pancakes with maple syrup and I can see why - jam is just the perfect combination for this. 1. Add flour, salt, sugar and stir in the milk gradually with a spatula. Add the beaten eggs last, making sure all is incorporated. 2. Heat a cast-iron or nonstick pan with butter on medium heat. Add a ladle full of batter and turn the pan to help it spread around the pan. Cook for 12 - 18 seconds and flip. Cook 15 seconds longer on the other side, until nicely golden. 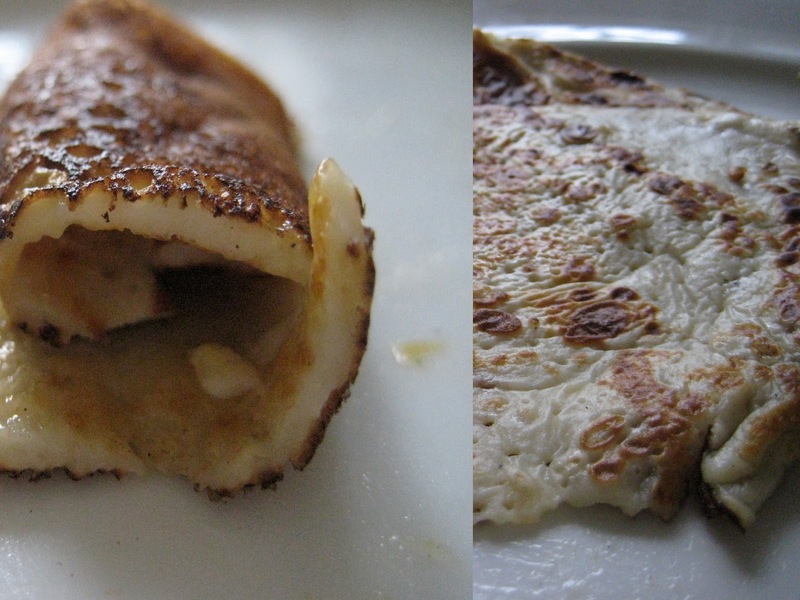 It is usual for the first pancake to come out looking strange. 3. Serve warm with butter or whipped cream and jam. Yum! ** DL = decileter - I shall convert them to American measurements soon.